College football season is underway once again, an event better than Christmas for many, particularly the Southeastern Conference faithful. 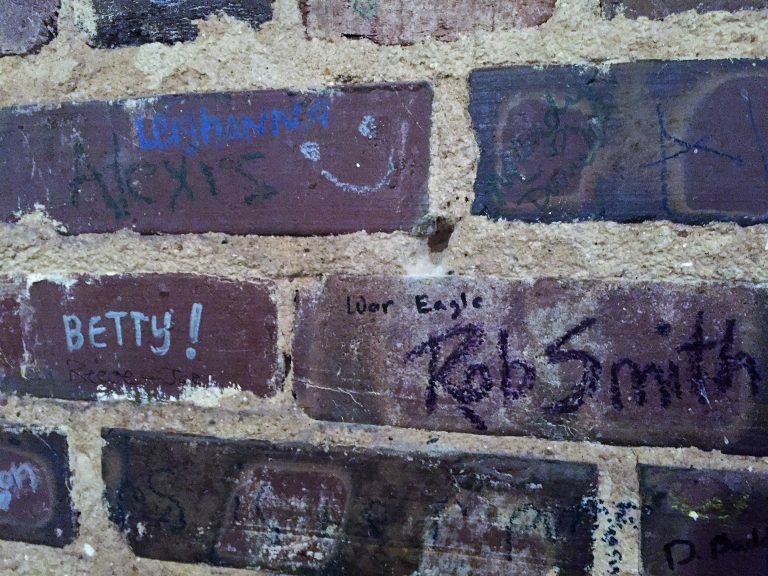 Auburn University fans are known for their passionate loyalty. They are also known for their love of the Tigers and their tendency to wear lots of orange and blue. 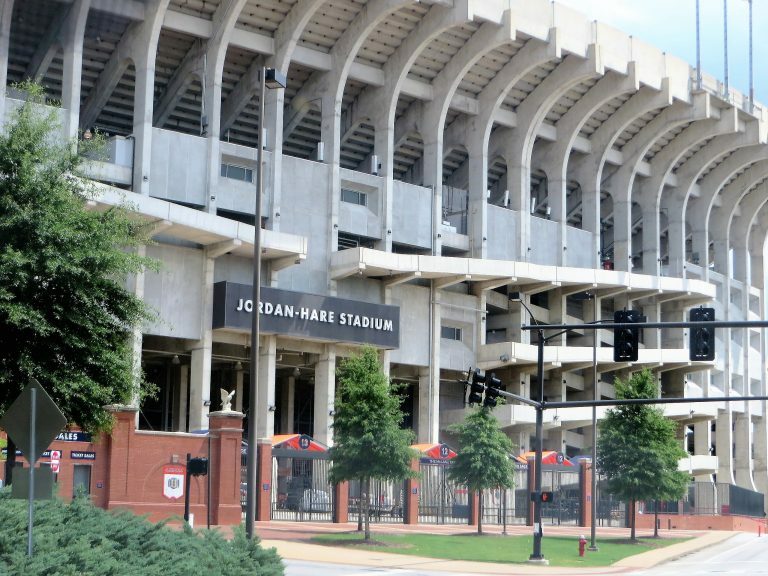 On the Saturdays of home games at Jordan-Hare Stadium, the population of the city of Auburn swells to double or more. Every café, fast food joint, food truck and barbecue stand within a mile of the epicenter is packed with long lines of hungry folks. But, if you’re willing to stop for a meal 10 miles before reaching the stadium. Or if you come the night before a game or stay over for the night after a game, I have an appealing option to fighting those crowds – Opelika Eateries. Opelika is so close to Auburn that often the two towns are hyphenated, as in Auburn-Opelika. 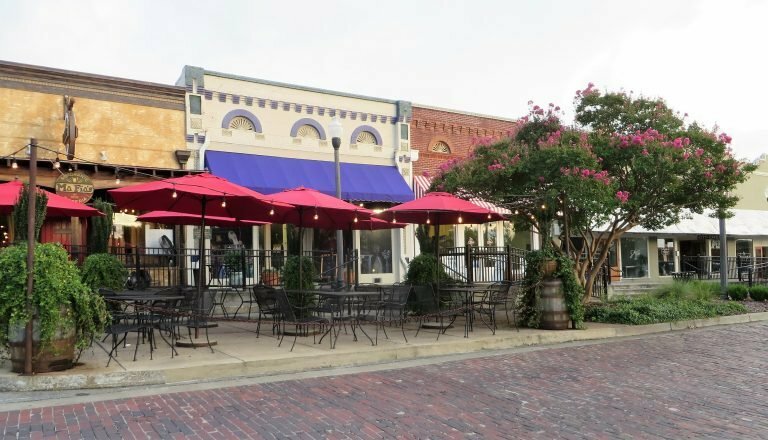 The population of Opelika is about half that of Auburn, but the town leaders have wisely encouraged hotels and restaurants to set up shop within their city limits. They have also revitalized an area along the railroad tracks that is increasing in popularity and in its number of dining choices. 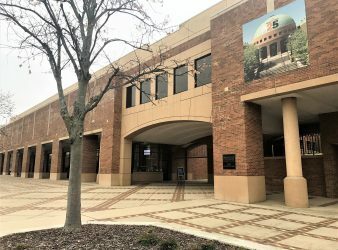 In addition to the chain restaurant of Jefferson’s Wings, you can find O Town Ice Cream, Side Track Coffee, Irish Bred Pub (with a predictably Irish-themed menu) and 8th and Rail, a pub where you can order sushi and cocktails while hearing live musicians. 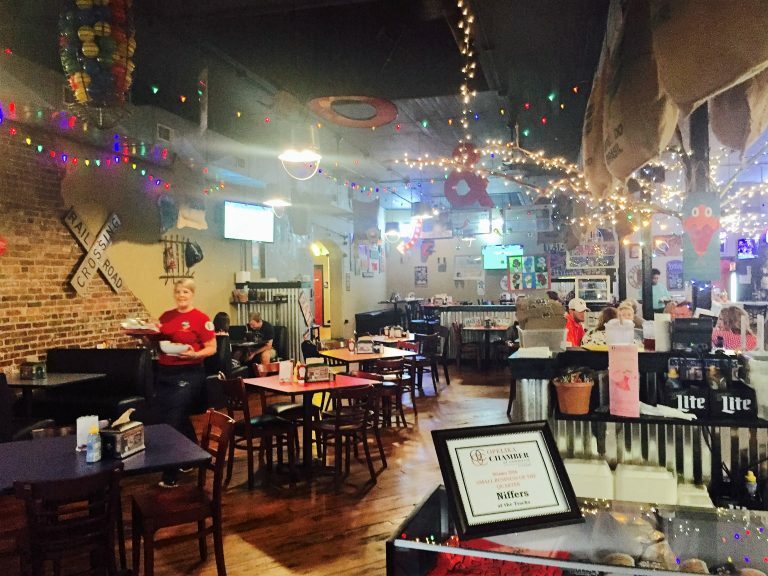 However, there are two other Opelika eateries I tried recently and would highly recommend. 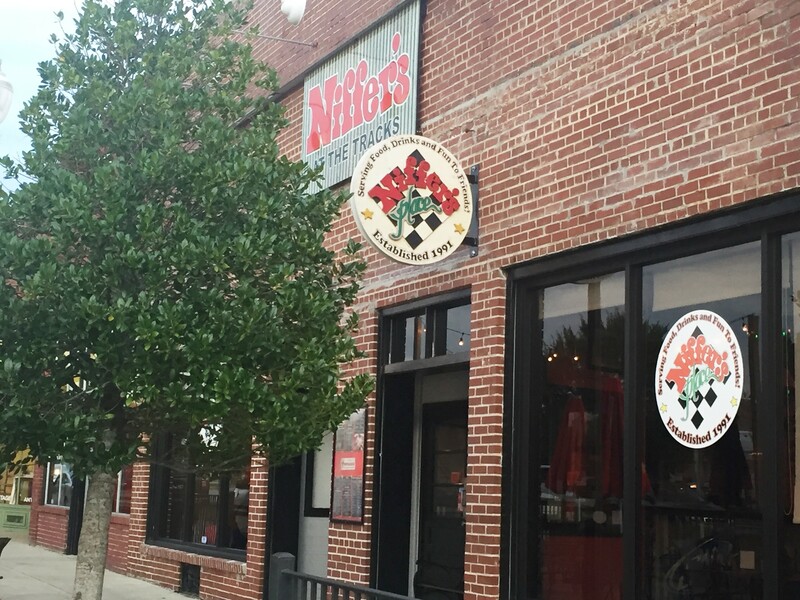 Niffer’s actually has three locations: Auburn, Opelika and nearby Lake Martin in Dadeville. 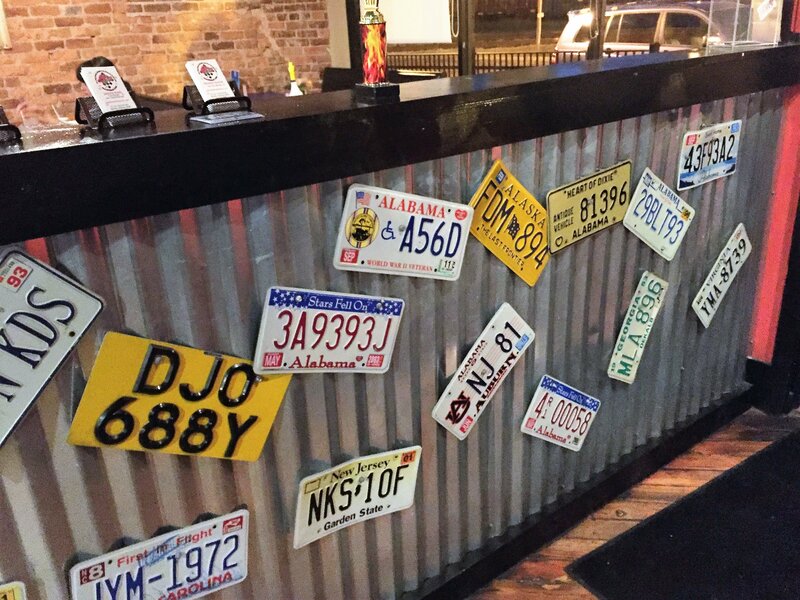 The décor is very student-friendly with its brick walls personalized by patron autographs, collections of car tags, wood plank floors, strings of colored lights, corrugated tin dividers and quirky accent pieces. The first Niffer’s opened in 1991, and quickly became an East Alabama favorite. To keep diners returning, Niffer’s offers a Frequent Eater Program. They also have a Niffers Place App, Kids Night on Tuesdays and Burger Nights on Wednesdays. Speaking of burgers, Niffer’s recently won the Burger Wars between area restaurants with their Southwest Burger of the Year. Burger choices include The Gus Bus (named for Auburn’s football coach, Gus Malzahn) and the Orange and Blue Burger. 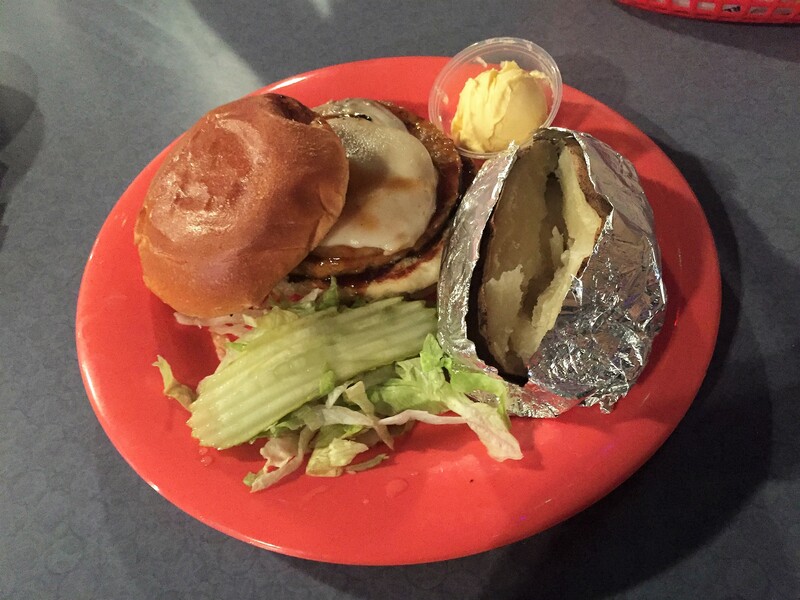 The menu encourages diners to first choose their patty (beef, chicken, turkey, black bean vegan, or vegetarian). Next is their choice for preferred topping (bacon, type of cheese, onions, mushrooms, pineapple or avocado). Finally their side item (with a dozen choices from fries to veggies). I chose the vegetarian patty, Hawaiian, with a baked potato. 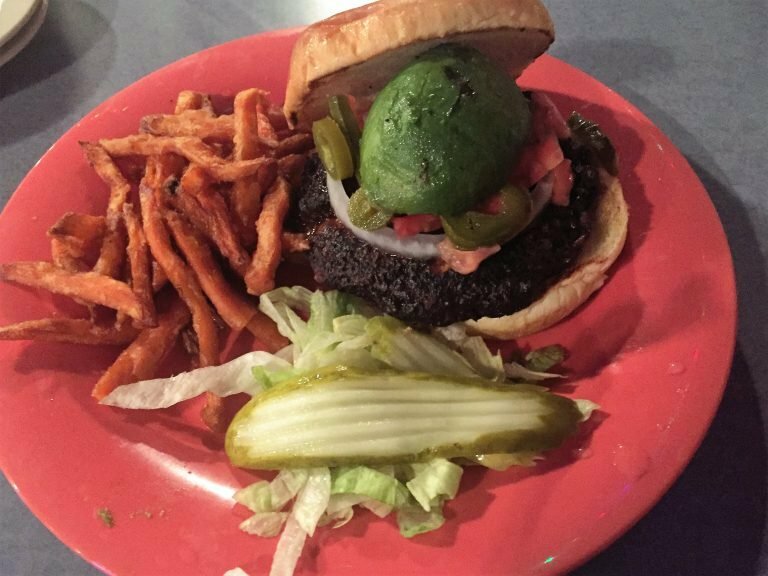 My husband selected the black bean vegan patty, avocado, with sweet potato fries. 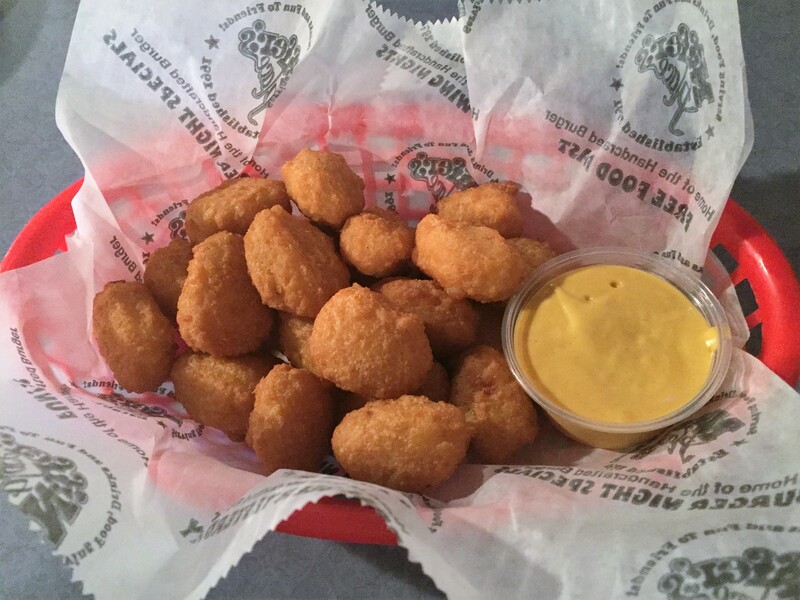 And, oh yes, be sure to start your meal with a basket of corn nuggets with honey mustard sauce. They are positively addictive. I have heard that the salads at Niffer’s are exceptional, but my husband and I succumbed to the young, relaxed vibe and ordered what the young people around us came to get. A word of advice – ask for extra napkins. You will need them for all the juicy goodness. The aromas, the smooth jazz, the vintage décor will capture you as Ma Fia’s hostess shows you to your table. The menu is reminiscent of those I saw repeatedly in Italy – pizza, pasta, insalati, antipasti, 1st plates, 2nd plates and dulces. Ma Fia’s Ristorante began as strictly a pizza place, then evolved into what you see today. What a delicious evolution! 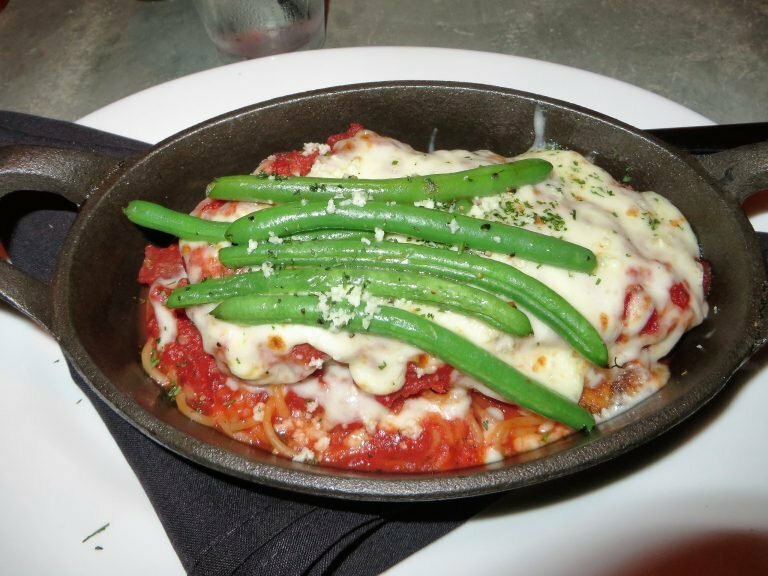 I consider myself to be something of a connoisseur of eggplant parmesan, and I hereby declare Ma Fia’s version to be the best I’ve ever eaten. 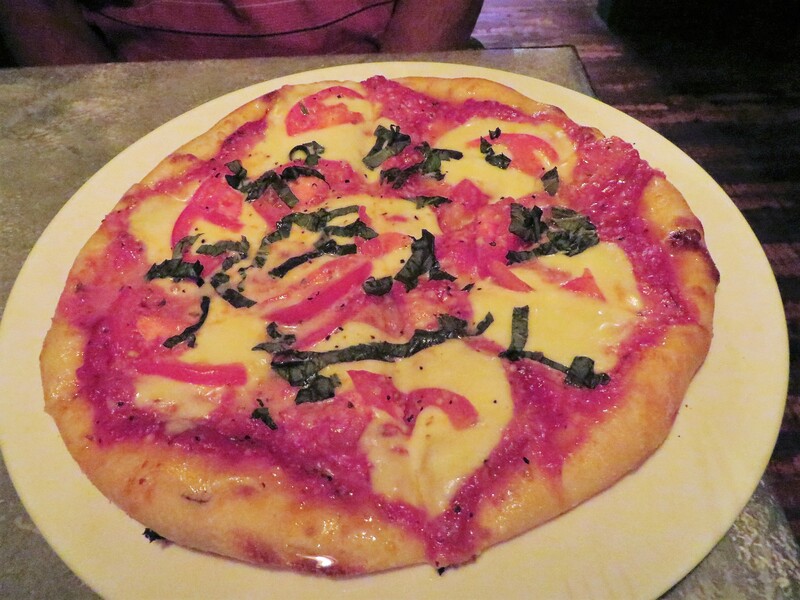 My husband chose the margherita pizza and gave it his stamp of approval. 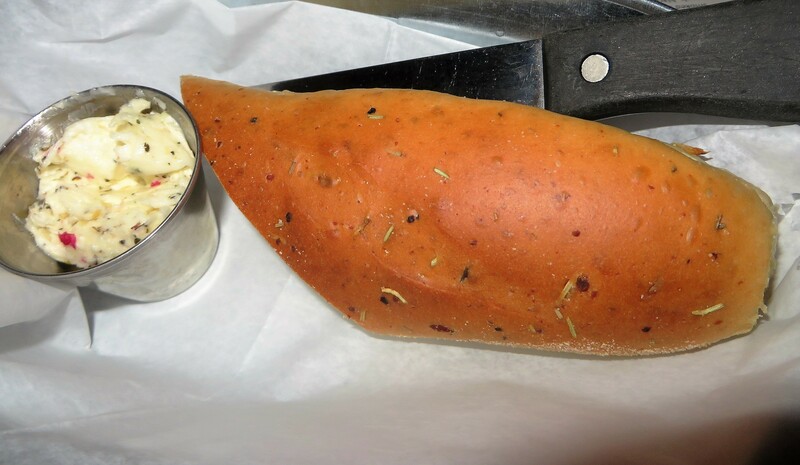 To begin our meal, the server brought a basket of homemade focaccia with a garlic-butter spread with hints of basil, rosemary and thyme. So good. We were too full to indulge in dessert, but the descriptions of Ma Fia’s offerings made it difficult to resist. Tiramisu, of course. Chocolate bread pudding with bourbon caramel sauce. Gelato e biscotti (both made in-house). Zeppole (fried Italian doughnuts with powdered sugar and dipping sauces). Chocolate cheesecake flan. All great reasons to return. 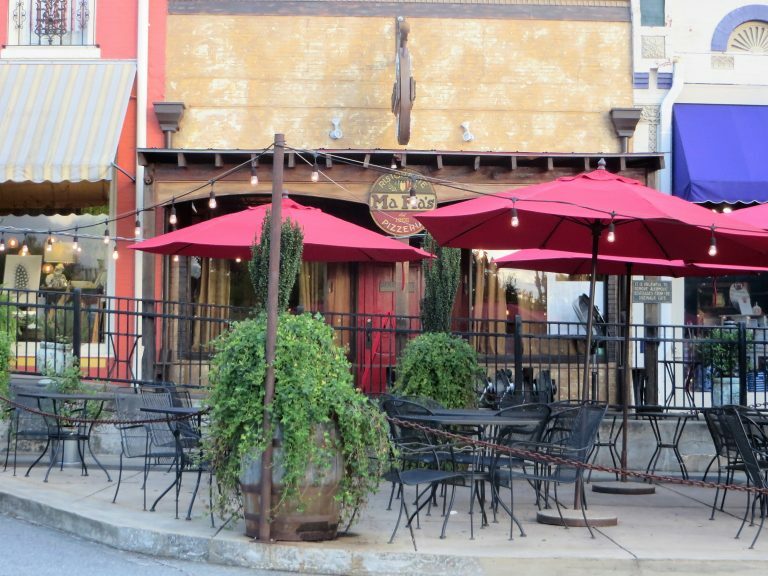 When you make your way to Auburn, as either a fan or “the enemy,” I hope you’ll stay for several days and find the Opelika eateries on South Railroad Avenue. Between meals, there are delightful shops to peruse and a few side streets to discover. 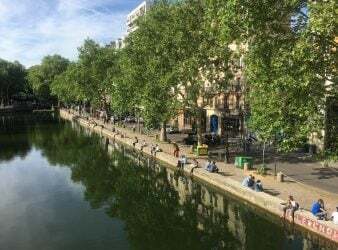 You could even sit in the beautifully landscaped setting and watch the trains roll through town.